Contact Digital Health Consult® to navigate your digital health product through FDA regulation requirements. Stay agile and focus on your product, not on compliance. 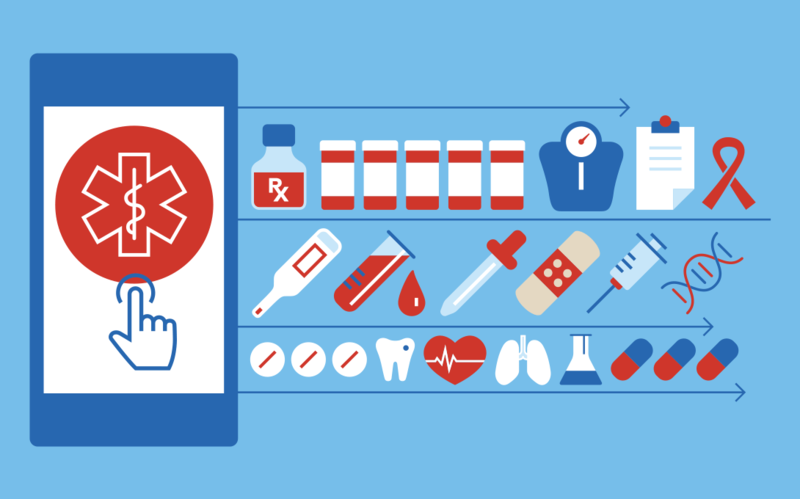 The FDA issued guidances applicable to digital health products on mobile medical applications (MMA), general wellness products (GWP) and medical device data systems (MDDS) that create opportunities for products to fall into categories that the FDA does not intend to regulate. Your digital health product, whether mobile app, wearable, software or Internet of Things medical (IoT-m), could fall into one of these non-FDA regulated categories, allowing for product development and marketing without the compliance requirements typical of a FDA regulated medical device. If your product is clearly a FDA regulated medical device, or you wish to bring a FDA regulated product market from the outset, Digital Health Consult can create and execute a strategic plan to overcome regulatory requirements and bring product to market quickly. Digital Health Consult can advise your digital health company with any of the following services that may apply to your product. 1If a non-FDA regulated product is a desired goal, identify if your product is a mobile medical application (MMA), general wellness product (GWP) or medical device data system (MDDS) type that the FDA does not intend to regulate. 2If your device is a GWP, determine if it is a “category 2” which allows for specific chronic disease condition associations. 3If your device is a Category 2 GWP, locate the peer-reviewed scientific publication evidence and/or relevant medical society recommendations supportive of this as required by GWP guidance. 4Establish if HIPAA controls are necessary for your product if there are communications between patient and healthcare professionals. This could apply regardless of MMA, GWP or MDDS status. 5If your digital health company currently has a functional app, software, wearable, Internet of Things medical (IOT-m), or other product, review all text in customer facing user interface (UI) of product to ensure it is consistent with findings pertaining to service items 1-4 above as they apply and not inadvertently entering FDA regulated language or claims. 6If your digital health company currently has or is developing a website, review all text to ensure it is consistent with findings pertaining to service items 1-4 above as they apply and not inadvertently entering FDA regulated language or claims. 7If your digital health company currently has or is developing other printed marketing collateral, review all text to ensure it is consistent with findings pertaining to service items 1-4 above as they apply and not inadvertently entering FDA regulated language or claims. 8If your product is clearly a FDA regulated medical device, or you wish to bring a FDA regulated product market from the outset, create and execute the best strategic plan to overcome regulatory requirements and bring product to market swiftly. Eric Eggers has more than 20 years of experience in FDA regulated medical devices with a focus on regulatory affairs, quality affairs and product development. His goal is to navigate a path, when desired by client and where possible, for non-FDA regulated status for digital health mobile apps, wearables, software or Internet of Things medical products (IoT-m). If a digital health product is clearly FDA regulated, or bringing a FDA regulated product to market from the outset is the client goal, he strives to find the lowest friction path possible and execute on that plan to gain FDA regulatory clearance and maintain compliance with FDA regulations. “Digital Health Consult identified regulation hurdles we would run into when launching our food and health application. We’re not doctors, but were able to maintain professional and clinical language on our website with DHC’s guidance. Eric’s warnings and recommendations helped us avoid pitfalls with regulatory language we wouldn’t have caught on our own. Thank you for contacting Digital Health Consult® (DHC) for an evaluation of your specific needs. To help DHC better serve you and your goals, please fill out the web form below. What is the name of the product for DHC review? What is the intended use for the product or how do you intend to describe what your product can do for patients, physicians, etc in a clinical, wellness and/or other capacity? If your product has a known FDA product code and/or known FDA classification regulation number, please provide. Briefly describe the product, how it works and any technology involved in product usage. Include in this description any accessories to your product. For example, include smartphone accessories, smartphone apps, wearables (either smartphone connected or standalone), etc. If you have already started selling your product in the United States, please state when you started sales. © 2019 Digital Health Consult. Digital Health Consult is a registered trademark in the United States.